John & Hannah (Huey) Bryan. Children: Emily, Peter, Mary, William Riley, Alta Jane, Hallet, Byantha. This photo may look familiar to those of you who have been following my blogs and looking at my website. It is the background photo of this website, a photo of the John and Hannah (Huey) Bryan family. The photo was taken in Jay County, Indiana, very likely on the family farm in Bear Creek Township. I do not know when the photo was taken. I featured John and Hannah’s tombstone in my last Tombstone Tuesday blog. 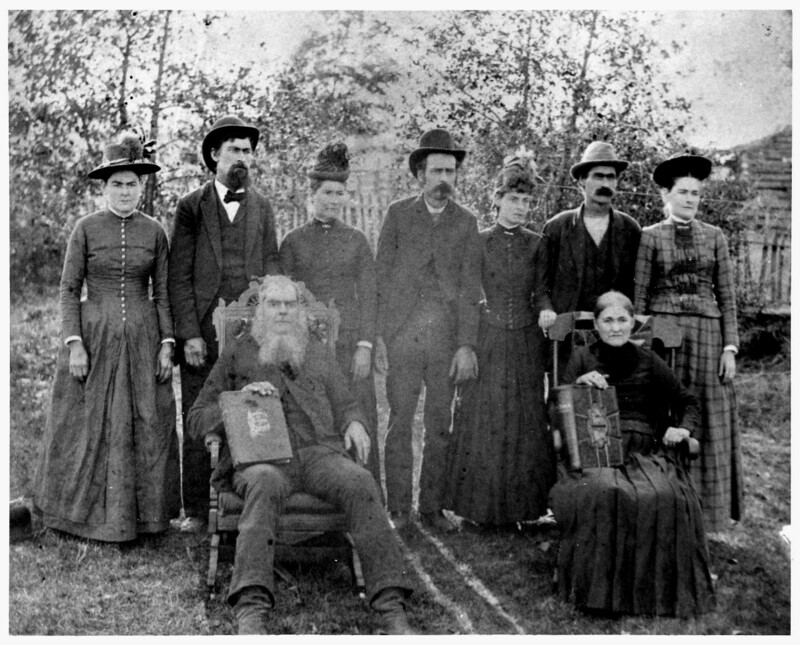 In the photo John Bryan and his wife Hannah (Huey) are seated in their rockers holding their massive family Bibles. Seven of their eight children are standing behind them. They are, left to right: Emily Ellen, Peter, Mary, William Riley, Alta Jane, Hallet, and Byantha. Their eighth child, Jackson, died 2 Jul 1868. John Bryan (15 August 1824-19 April 1900) and wife Hannah (Huey) Bryan (19 January 1830-19 February 1901). They married 20 April 1848 in Jay County. Emily Ellen (8 May 1856-24 Jun 1940) married William W. Reid 30 Jun 1878 in Jay County (Vol. D:442). William passed away in 1905 and Emily married Abraham C. Bisel 20 Dec 1913 in Jay County (Vol. 9:99). Emily and William were the parents of Pearl Reid, my great-grandmother. Pearl married Philip Brewster and their daughter Gertrude married Carl Miller. Gertrude and Carl were my grandparents. Peter J. Bryan (22 May 1851-27 Jan 1914) married Mary A. Reid in 1876. They had the following children: John, Rena, Della, Edward, Emma, and Jesse. Mary E. (5 Oct 1849-bef 1940) married George Reid. They had the following children: Eva, Lewis, and Manuel. Hallet B. (24 Feb 1853-1936) married Mary Chapman 6 Sep 1879 in Jay County (Vol. D:557). They had the following children: James, Riley “William”, Lawrence B., Clarance, and a child that died in infancy, buried in Limberlost Cemetery, Jay County. Alta Jane, (30 Sep 1866-bef 1940) married Ernest C. Schmidt 11 Aug 1894 in Jay County (Vol. G:494). They had the following children: Clarence and Mary R.
William Riley (27 Oct 1854-25 Jan 1893). Byantha (5 Mar 1864-bef 1940) married George Saxman Jr. 28 Sep 1883 in Jay County (Vol. E:439). They had the following children: Alta Leana, Hannah Callie, John W.P., Mary G., Lela A., Jacob W., Orva L.J., Caroline, Arthur, and Kenneth B.A. 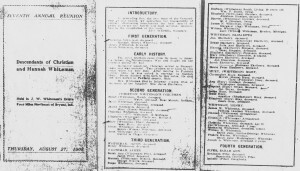 Some of this information was obtained from the booklet, the Seventh Annual Reunion of the Descendants of Christian and Hannah Whiteman. This booklet has been a valuable source of family information. 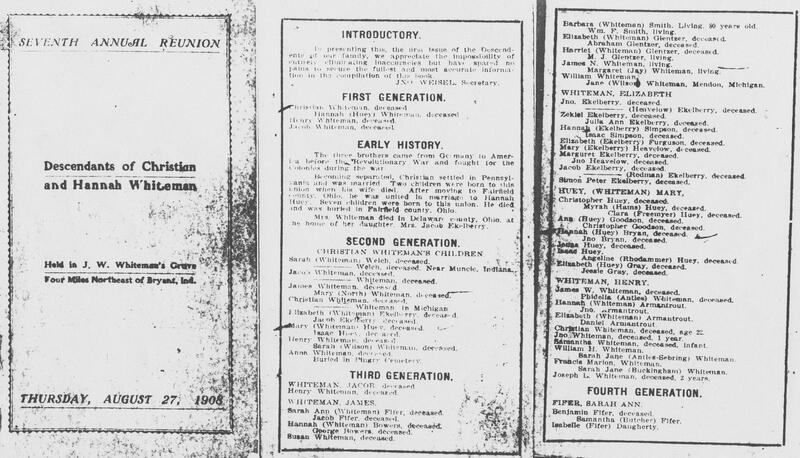 The reunion was held 27 August 1908 at J.W. Whiteman’s Grove, four miles northeast of Bryant, Indiana. Christian Whiteman was one of my Revolutionary War ancestors and this booklet outlines his descendants. Christian’s second wife was Hannah Huey. One of their daughters was Mary, who married Isaac Huey. Mary and Isaac had a daughter Hannah, who married John Bryan. History of Blackford & Jay Counties, Indiana, 1887, by Lewis, p. 899: John Bryan, one of the leading citizens of Bear Creek Township, where he successfully follows farming pursuits, is a native of Coshocton County, Ohio, born August 15, 1824. His parents, Peter and Mary (Huey) Bryan, were formerly residents of the State of Pennsylvania. They had a family of eight children, of whom our subject was the second child. When he was quite small he was taken by his parents to Licking County, Ohio, and later to Fairfield County, and from there the family subsequently removed to Allen County, in the same state. John Bryan grew to manhood in his native state, being reared on a farm and educated in the common schools and by study at home. In 1847 he came to Jay County, Indiana, where he has since made his home, and is now the owner of eighty acres of as good land as the county affords. He has a good residence, surrounded by shade and ornamental trees, a large, commodious barn and other improvements, and his land is very productive and under fine cultivation. Mr. Bryan was united in marriage, April 15, 1848 [sic], to Miss Hannah Huey, a daughter of Isaac Huey, born January 19, 1830, in Fairfield County, Ohio, and came to Indiana with her parents in 1836. To them have been born eight children, seven still living–Mary E., born October 5, 1849; Peter J., born May 22, 1851; Hallet B., born February 24, 1853; William R., born October 27, 1854; Emily, born May 8, 1856; Jackson, born March 22, 1858; Byantha, born March 5, 1864; Alta Jane, born September 30, 1866; Jackson is deceased. Politically Mr. Bryan is a Democrat. He is a worthy and consistent member of the Disciple church, and is a zealous worker in the Sabbath School. Look for more information about the Bryan family next week. I am looking for a John Bryan in Coshocton County, Ohio 1830 and 1840 maybe earlier but I am not sure. John was born I think in Va. 1785?? He married his wife Mary Hoffer in 1805 in Gettysburg Pa. they then moved to Coshocton County sometime after 1805 and 1830 then after 1840 his family moved to the Tippecanoe, Indiana area. This is what I have found in many years of research. Some of the family moved to Indiana between 1838 or 1839. You can see this is not the same John Bryan in your story. Ancestry tries to sell me on John Bryan and Hannah Kirkpatrick in Ross County, Ohio. Married Mary Hoffer in 1805 in Gettysburg, Pa. I have John being born between 1785&1790 the early census gives ranges instead of age. I also have him born In Virgina I also found some information on his eldest son and some of his other children. Occupation: David was a farmer . Other Information: David lived for years 2 1/2 miles west of Battle Ground, Indiana, near what is called Bryans Corner, where he died. 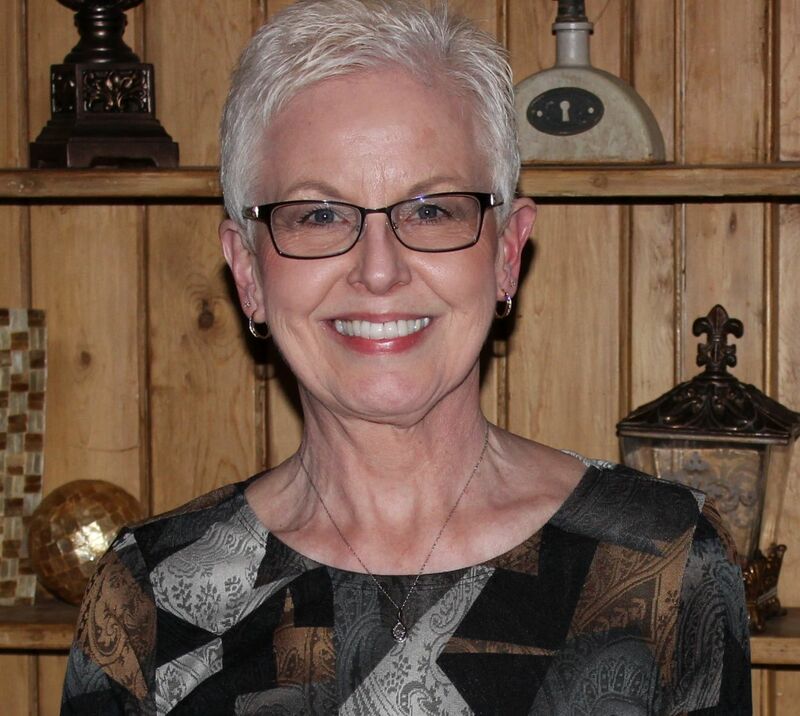 He wa a member and Trustee of Pleasant Grove Christian Church. Source: Family History started by Harry Lincoln Bryan ca 1922. Susan Graves (22) was born about 1810 in Virginia, died about 1846 in Tippecanoe Co., IN, and was buried in Pretty Prairie Cem., Tippecanoe Co., IN. She first married John Bryan, son of John Bryan and Mary Hoffer, about 1830 or 1832 in Coshocton Co., OH. He was born about 1810 in Pennsylvania, and died in Sept. 1843 in Tippecanoe Co., IN. Their first two children were born in Coshocton Co., and the last two in Tippecanoe Co., Indiana. James Graves, b.c. 1816, m. Harriet Bryan, 28 May 1840 (Tippecanoe Co., IN). She was dau. of John Bryan and Mary Hoeffer (?). I am sorry, but I have none of these Bryans in my database, although the 1887 History of Blackford & Jay Counties, Indiana, indicates my John Bryan was born in Coshocton County in 1824 and that they moved to Jay County, Indiana, in 1847. Families often traveled together so there may have been a relationship between the two families. At this point I do not know what that relationship was. If I ever come across that information I will contact you.